Hello everyone! I am excited to introduce myself to you! 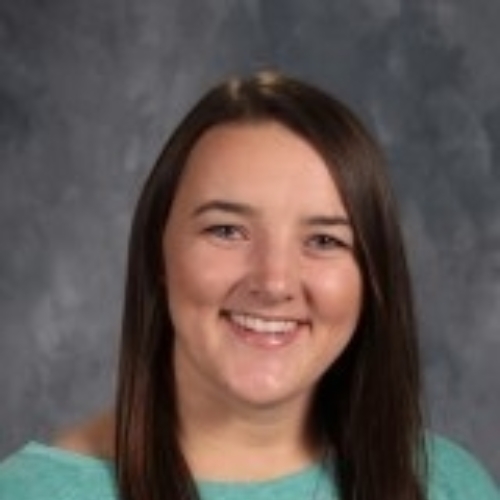 My name is Miss Anderson and this is my third year teaching fifth grade at MFGS! I graduated from Eastern Illinois University (Go Panthers!) and coincidentally love the color blue! ​I also love to travel and learn about cultures and languages. ​Along with culture and languages I also love to read! You can often find me with a book in my hand or reading on the Kindle app on my phone. The only television that seems to keep my interest is my love for a Denver Broncos football game! The other horses that I love are the ones I grew up on a horse farm taking care of! I also enjoy giving horseback riding lessons in the summers. I enjoy running and have completed many 5ks, 5 half-marathons, and 1 marathon. ​My teaching philosophy stems from my love of learning and sharing my knowledge with others! I believe in the potential of every student to learn and grow and pledge my responsibility in providing opportunities for students "to fulfill their educational goals in a safe, challenging, and caring environment." I have a no-bullying policy and place a big emphasis on character development as well as problem-solving skills inside the classroom. Every child can be a leader! My contact information is below and I look forward to staying in touch with you about your child's successes this year! Welcome to Miss Anderson's 5th grade and let's have a phenomenal year! Go Trojans!